Extraordinary splits in the Labour Party’s leadership have opened up today, as Jeremy Corbyn’s campaign lambasted Tom Watson for a “Project Fear” approach. Watson has warned that “Trotskyists” are joining the Labour Party in an attempt to use it “as a vehicle for revolutionary socialism” rather than win elections, in comments that have brought accusations of “peddling baseless conspiracy theories” from Corbyn’s camp. The deputy leader said the majority of new members were not cause for concern but that there are some “old hands twisting young arms” in order to draw them into factional politics. Watson went on to predict that the increased factional politics will end badly and posed a real threat to the existing institutions of the party. “There are Trots that have come back to the party, and they certainly don’t have the best interests of the Labour party at heart.,” he told the Guardian. “They see the Labour party as a vehicle for revolutionary socialism, and they’re not remotely interested in winning elections, and that’s a problem. But I don’t think the vast majority of people that have joined the Labour party and have been mobilised by the people that are in Momentum are all Trots and Bolsheviks. “Some of these people are deeply interested in political change, in building a more equal society, and are just on a journey in politics that they’re new to, and I don’t want them to feel that I’m labelling them because I’m not. “But there are some old hands twisting young arms in this process, and I’m under no illusions about what’s going on. They are caucusing and factionalising and putting pressure where they can, and that’s how Trotsky entryists operate. “Sooner or later, that always end up in disaster. It always ends up destroying the institutions that are vulnerable, unless you deal with it. Watson went on to explain his plans to bring back the electoral college system for electing leaders, which would give far greater weight to the opinions of MPs in choosing a leader. He said Ed Miliband has exercised a “terrible error of judgment” in binning the old method which was replaced with a one member, one vote system rather than giving additional weight to MPs and unions. The West Bromwich East MP also hopes to bring back elections to the shadow cabinet in order to “reshape and rebuild” the parliamentary party. He is also developing an agreement to ensure some off the great offices of state are held by women. Watson also revealed he wants to reintroduce elections to the shadow cabinet, although he said he had “no idea” if those who now refuse to serve under Corbyn would reconsider. “But I think if Owen wins it’s still important to do it, because a new leader has got to reshape and rebuild the PLP, and that means giving respect and dignity back to a lot of colleagues,” he added. In the far-reaching interview, Watson argued there would not be a split in the party, saying very few would consider the idea. “I don’t know of any MPs who think the party should split, and frankly I think the claim that there’s a plan out there to split the party is propaganda which actually undermines a lot of people in the PLP. 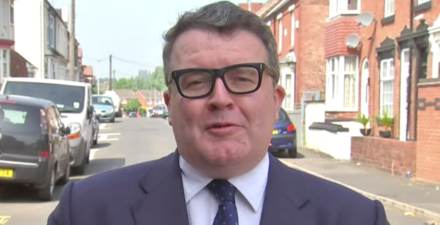 A spokesperson for Jeremy Corbyn’s leadership campaign condemned Watson’s remarks about entryism as “baseless”, saying the deputy leader should instead campaign against the Tories. “This is a disappointing remark by Tom Watson, who seems to be sadly using the Owen Smith campaign’s ‘Project Fear’ approach to this election. Labour members want a politics of hope, reflecting the fact that our party’s membership has grown to become the largest of any left of centre party in Europe under the leadership of Jeremy Corbyn.